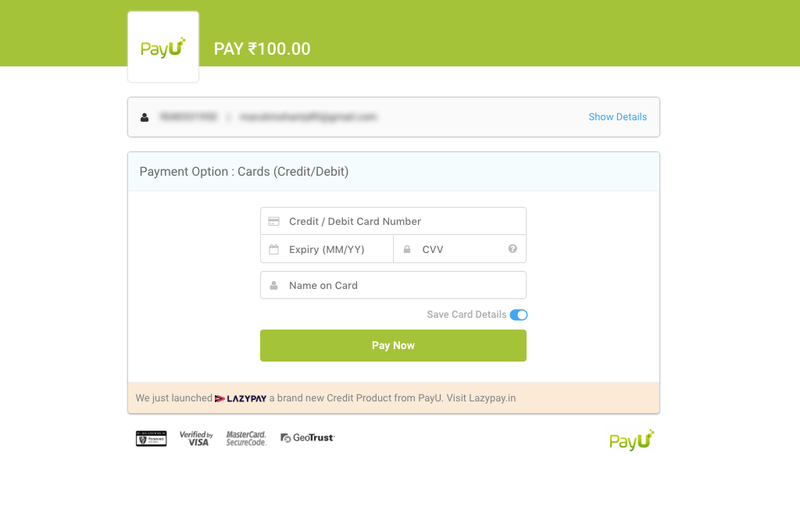 PayUmoney is a popular Indian payment gateway that enables you to accept credit card donations via an easy and secure offsite payment process. 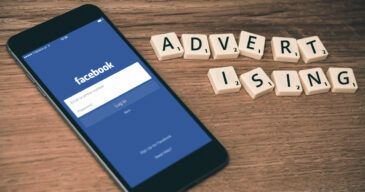 This article will help you install and configure the add-on so you can accept donations with the PayUmoney Gateway quickly and easily. 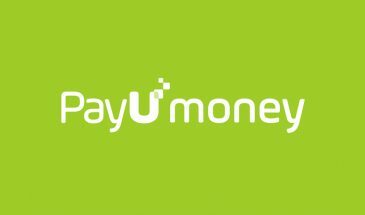 In order to accept payments with PayUmoney using Give you will need to have an active PayUmoney account, the PayUmoney Give Add-on, and the Give Core plugin installed and activated. It is also highly recommended that you have an active SSL certificate for your website. Click here for instructions on installing and activating Give Add-ons. 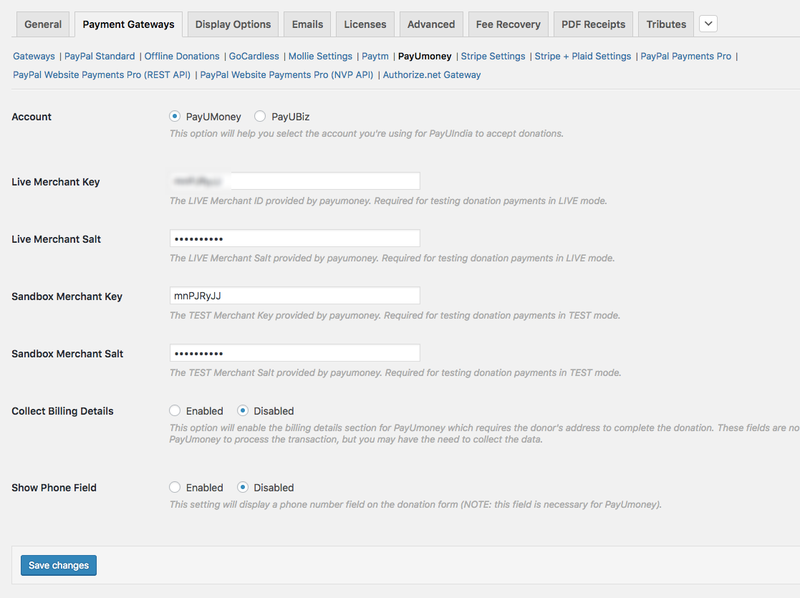 After your PayUmoney add-on is activated, go to “Donations > Settings” and click on the Payment Gateways tab. There you will see the default Payment Gateways (PayPal Standard, Test Payment, and Offline Donations). You should also see PayUmoney as an option as well. Click on that to enable PayUmoney as an active payment gateway for your website. Once logged in, you can enable the test mode by toggling the button in the top navigation. 3. Now navigate to the “Start Integration” link on the bottom left of the page to access your live and test credentials. Double-check one last time you have the appropriate keys in place so you don’t run into issues in the testing process. If all checks out, it’s time to start testing the integration. It is recommended that prior to going live with any campaign that you first test your integration using a PayUmoney test account. To enable the sandbox/test mode in your PayUmoney account just toggle the button in the top navigation. Once the plugin has been setup you can now test with in either LIVE or TEST mode. To test PayUmoney in TEST mode Give must be placed in Test mode. Likewise for LIVE mode. 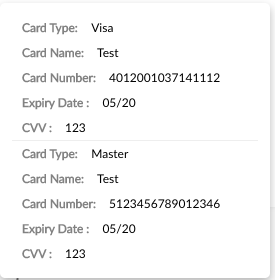 Note: if you plan on testing in LIVE mode you will need to use actual credit card information and not the supplied test information above. 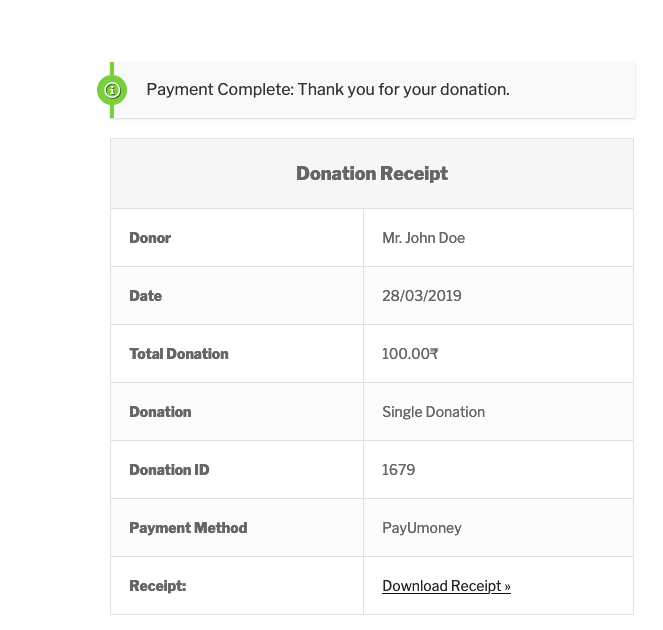 A donation form with PayUmoney enabled. 4. 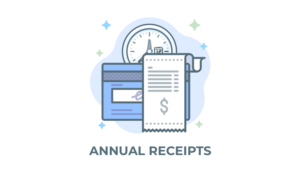 Upon successful completion of the donation, you will then be redirected to the “Payment Complete” page on your website. Likewise, if the payment failed you will be redirected to the Payment Failed page on your website. 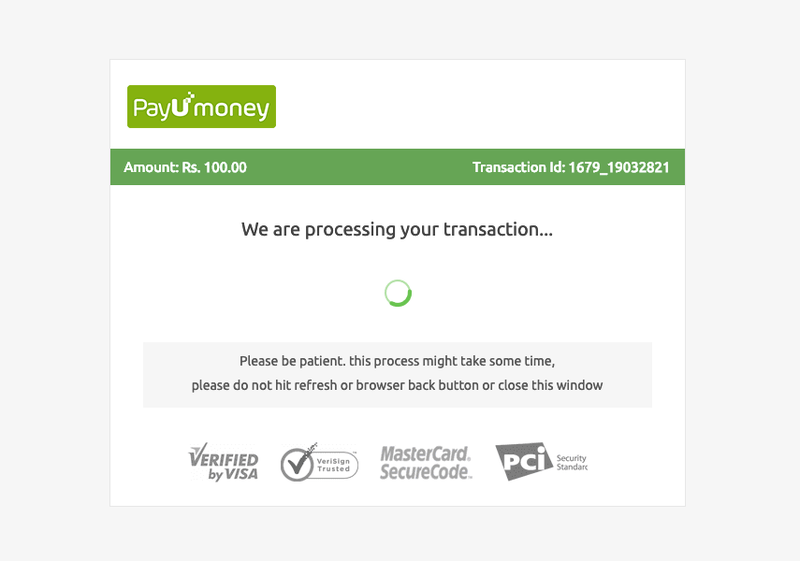 You will also see the transaction within your PayUmoney account and may receive an email confirmation from PayUmoney depending on your account settings. 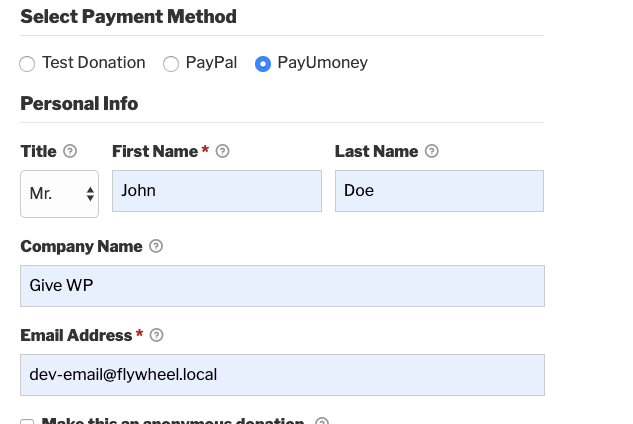 Donation payments from Give appearing in the PayUmoney Sellers Dashboard. The following section provides helpful troubleshooting information should you experience trouble with the add-on or integration. This vague error essentially means that an issue occurred with the request sent from your website via Give to PayUmoney. Most likely this is caused by incorrect Merchant Key or Merchant Salt being entered within the Give Settings. Double-check that the correct LIVE / TEST Merchant Key and Merchant Salt keys are entered. For instance, if Give is in Test Mode you must have appropriate PayUmoney Test keys entered. The same goes for LIVE mode. PayUmoney “Merchant has to use his own email to make the payment” error.